Plaintiff attempted to establish standing to foreclose by introducing the Pooling and Servicing Agreement (“PSA”) and what purported to be the Mortgage Loan Schedule (“MLS”) for the Plaintiff Trust. Plaintiffs Trial Witness, Darlene Marcotte, a former Washington Mutual employee who presently works for the servicer, JP Morgan Chase, testified that the MLS admitted in evidence was the same MLS attached to the PSA when the Trust closed in 2005. On cross-examination, Plaintiffs Trial Witness read the definition of the Mortgage Loan Schedule found on page 15 of the PSA into evidence. Ms. Marcotte then conceded that “over thirty (30)” of the data fields expressly delineated as required information for the MLS were not included in what was purported to be the MLS presented as evidence in this equitable action. Plaintiffs Trial Witness then attempted to explain the missing data fields by giving what seemed to be compelling testimony that the data fields were missing because they were intentionally redacted to protect the borrower’s privacy interests. The Trial Witness even suggested she herself had personally redacted the MLS for other cases to ensure this private information was not impermissibly disclosed. The Court cannot reconcile the testimony of Ms. Marcotte and the evidence introduced at trial. It is apparent the document which Plaintiff admitted as the purported MLS for this Trust is not the actual MLS as defined at page 15 of the PSA. Plaintiff prepared two assignments of mortgage recorded in the public records and attached as exhibits to its complaint which purport to document a sale of the Defendant’s Note and Mortgage from JP Morgan Chase to the Plaintiff (the “Mortgage Assignments”). Plaintiff identified the “assignment of mortgage” as a trial exhibit on its Renewed Witness and Exhibit List filed on October 11, 2017. Ms. Marcotte testified she had testified in many trials where similar Mortgage Assignments were introduced at trial as evidence as Plaintiffs standing to foreclose. This Court takes judicial notice of the court file from the first attempt by this Plaintiff to foreclose this mortgage against this Defendant in Palm Beach County Case Number 502010CA019708XXXXMB. The complaint in the first foreclosure action was filed in August of 2010. Four months later, Plaintiff recorded the first mortgage assignment in the public records of Palm Beach County on December 16, 2010. 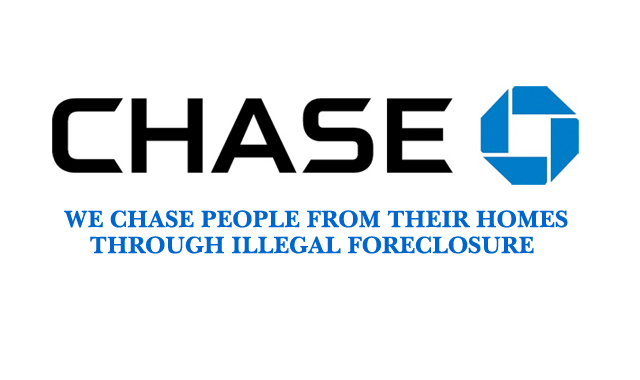 The first mortgage assignment purported to document a transaction wherein “JP Morgan Chase N.A. as successor in interest to Washington Mutual Bank …. ” sold Defendant’s note and mortgage to the Plaintiff Trust. The Court takes judicial notice that the Honorable Judge John Hoy granted Defendant’s Motion for Involuntary Dismissal of the first foreclosure action because “Plaintiff failed to prove standing on the date it filed the complaint” on March 25, 2014. The following year, on May 1, 2015, JP Morgan Chase recorded the second “corrective assignment of mortgage” which purported to document a transaction wherein JP Morgan Chase Bank, N.A., Successor in Interest by Purchase from the Federal Deposit Insurance Corporation as Receiver of Washington Mutual Bank … ” sold the Defendant’s note and mortgage to the Plaintiff. Thereafter, on September 22, 2016, Plaintiff refiled the instant foreclosure action and attached both the 2010 assignment and the 2015 corrective assignment as exhibits to its complaint. In this case, Defendant’s second affirmative defense alleged the assignments were evidence of unclean hands because they represented a transaction that never happened. At trial, Ms. Marcotte admitted that any claim JP Morgan Chase ever owned or sold Defendant’s note and mortgage was false. She testified that Defendant’s note and mortgage were not assets of Washington Mutual after 2005. As such, the 2010 assignment could not truthfully document a transaction that JPMorgan Chase obtained Defendant’s note and mortgage from Washington Mutual and sold it to the Plaintiff Trust. This transaction never happened. Moreover, the 2015 assignment contains a materially false statement that JP Morgan purchased Defendant’s note and mortgage from the Federal Deposit Insurance Corporation (“FDIC”) as Receiver for Washington Mutual. The note and mortgage were not assets of Washington Mutual to be sold by the FDIC Receiver to JP Morgan Chase and or to be sold by JP Morgan Chase to the Plaintiff Trust. Plaintiff’s Trial Witness admitted the statement that the FDIC sold this loan as Receiver to Washington Mutual to JP Morgan Chase who sold it to the Plaintiff is materially false. WHEREFORE, the Court finds Plaintiff failed to prove every element of its case by substantial competent evidence and has unclean hands, and enters judgment in favor of the Defendant, John Riley, who shall go forth without day, and the Court reserves jurisdiction to award attorney’s fees, and any further relief deemed mete and just. Be sure to read the full order below.